Jack Leith is head designer and maker at Leith Furniture, which he founded with his wife Danni in 2012. After studying zoology at the University of Edinburgh, he decided to take a completely different route and pursue furniture design at Chippendale International School of Furniture. ‘It included a wide range of techniques and disciplines from carving and gilding to marquetry,’ Leith says. While studying at Chippendale, Leith won the award for original design for a twisted grandfather clock. ‘I worked for a couple of different companies after I left college,’ Leith says. ‘It was a great experience but I always knew I wanted to design my own work.’ His wife has a background in art history, so their business concept came around very naturally. ‘She is also much more business-savvy than myself, so we decided to go into partnership. She handles business and contributes to the design and I do all the making. It works brilliantly,’ Leith adds. With everything handmade in their workshop in Dalston, London, the duo places emphasis on quality to offer unique pieces for functional purposes. 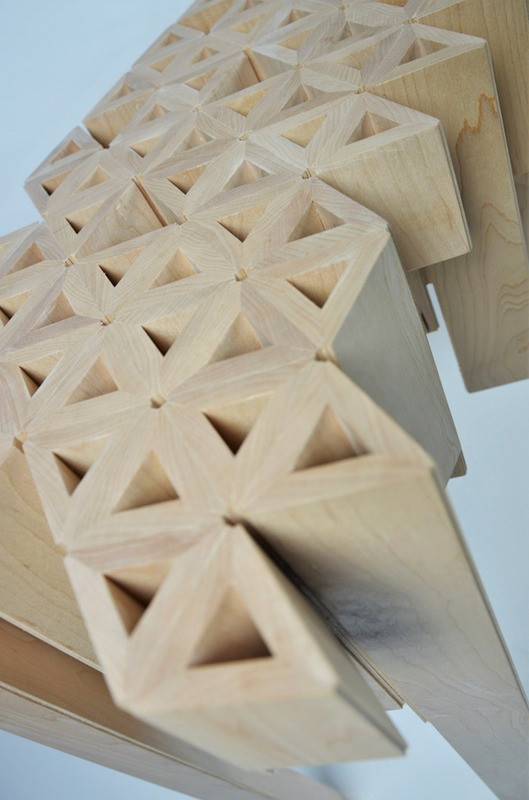 Geo console: In solid sycamore this piece was developed from a smaller prototype into a larger console. The top is end grain, creating a smooth finish. The underside is an assortment of layers, drawing the eye from the smooth, symmetrical top to the structural levels below. Spalted table: Leith was able to source a unique piece of spalted beech and decided to design a table around the material itself. 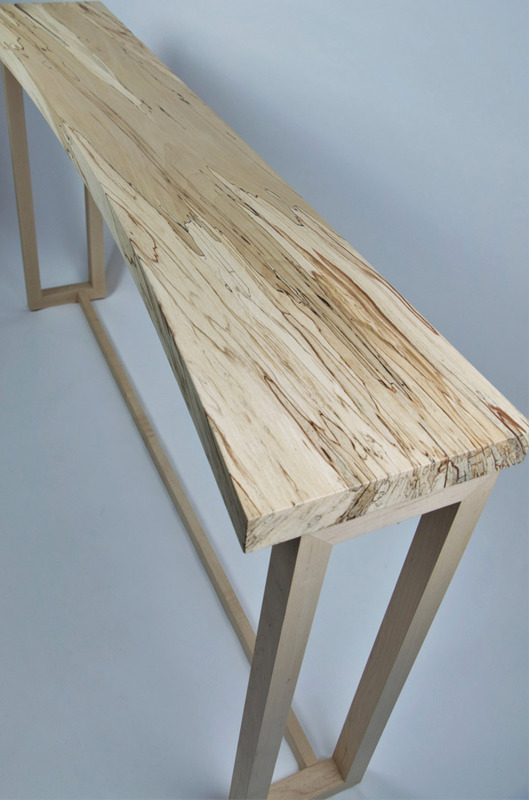 The spalted surface sits on symmetrical ash legs that complement the natural design of the wood’s surface. Round bench: Playing with the idea of shape and the perception of comfort, the round slats of this ash bench may appear uncomfortable at first. 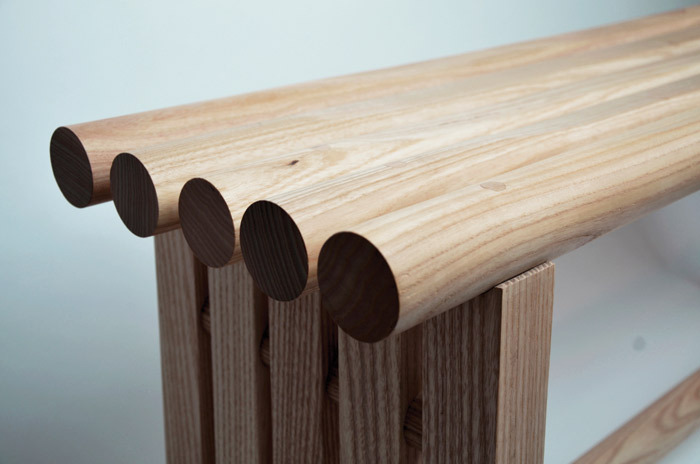 However, the graduated soft curve across the surface distorts this, making the bench both comfortable and functional.